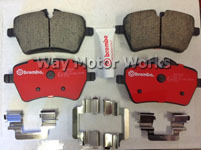 2002-2006 R53 MINI Cooper S brake parts including brake pads, rotors, lines, fluid, sensors, big brake kits, and more. 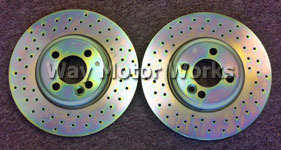 All the brands including MINI OEM, Zimmerman, Motul, WMW, TSW, Brembo, Stoptech, ATE, John Cooper Works, EBC, Goodridge, and more. 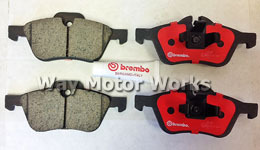 This section also include brake parts for R53 John Cooper Works Brake kit with red brake calipers.